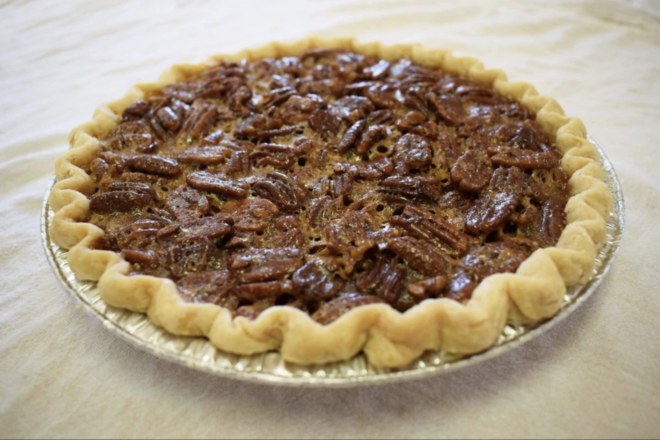 A pecan pie from Sweetie Pies is a Thanksgiving classic. 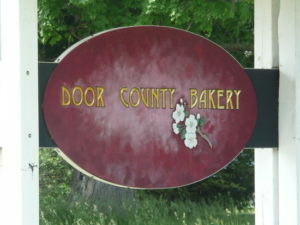 Photo from SweetiePiesDoorCounty.com. First things first, you’re going to need a tasty turkey! Waseda Farms and Greens N Grains are offering organic and free-range turkey options. It is recommended to call ahead for availability as the birds are limited and first come, first serve. Waseda Farms has whole birds and bone-in breast available from an organic poultry partner, Larry Schultz Organic Farm. The farm, which humanely raises its poultry in Owatonna, Minn., is run by a fourth-generation organic farmer. Call 920.839.2222 for availability and to place an order. Greens N Grains is offering both certified organic and free-range turkeys from Mary’s Free Range Turkey, a family owned and operated turkey ranch since 1954. Turkeys are raised in a humane environment and are allowed to roam on a large ranch in sunny California. Call 920.868.9999 for availability and to place an order. The famous Corsica Loaf ™ from Door County Bakery. Photo by Ping Photography. The breaking of bread with friends and family shouldn’t be just a metaphor on Thanksgiving, and what better bread to break than a piece of the famous Corsica Loaf ™ from Door County Bakery? 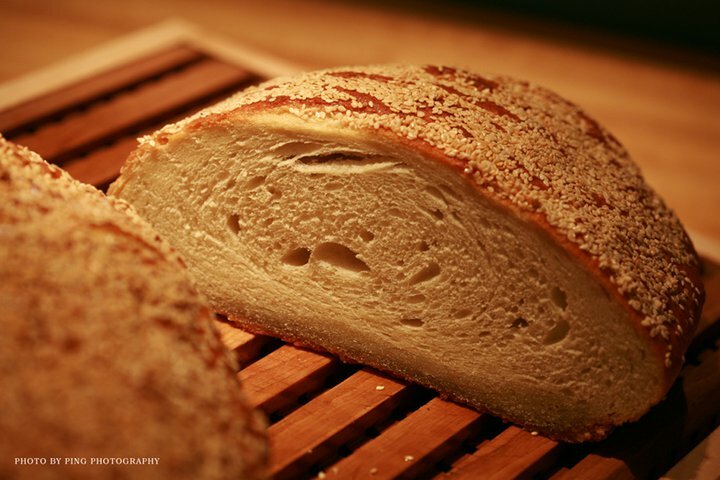 The bakery crafted this one-of-a-kind artisan bread and describes it as “a marriage of French bread dough with a stone-oven baking process which incorporates our own blend of olive oils and sesame seeds.” The rich olive oil flavor and hint of sesame seeds is an unforgettable taste that is bound to please all your dinner guests. Available by the pound, by the loaf, as a bun and in breadstick format, the serving options are plentiful. The bakery is open normal weekend hours as well as the Wednesday before Thanksgiving from 9 am – 3 pm. The tasting counter at Wisconsin Cheese Masters features an array of Wisconsin artisan cheese varieties. Photo by Aleah Kidd. Stave off ravenous family members while you finish carving the turkey with a selection of cheeses that are worthy of a Thanksgiving Day cheese board. The cheese varieties available at Wisconsin Cheese Masters are all Wisconsin made and many boast multiple awards and accolades. The designated Thanksgiving collection of cheeses includes an Onion Garlic Gouda from Marieke Gouda, an Apple Smoked Cheddar from Carr Valley Cheese and a Rosemary & Olive Oil Asiago from Sartori Cheese. Slice each wedge and pair with nuts, meats and crackers for a full snacking spread. Drop by the tasting room in Egg Harbor, open on weekends, or order online at WisconsinCheeseMasters.com. A toast will be undoubtedly be in order to share everything you’re thankful for, and you’ll want to make sure you have wine options for the occaison. The bottle selection at Stone’s Throw Winery gives you plenty of varietals to choose from – including table reds and whites, red blends, rosé and sparkling wine. Visit the beautiful tasting room to sample your favorites and enjoy a case discount. A favorite bottle of mine is the Angelique Sparkling Wine, which is a white sparkling variety with a hint of almond. It’s the perfect sip for dessert and special occasions. Once the turkey has been eaten and stuffing dispersed, everyone will have their eye on the pie, because what is Thanksgiving without a delicious dessert to render you thoroughly stuffed? 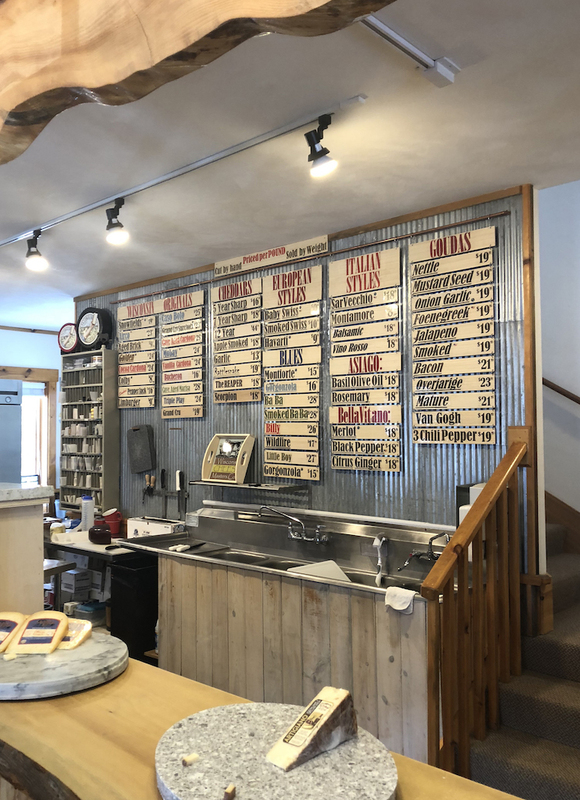 Sweetie Pies of Fish Creek is ready to fulfill all your Thanksgiving cravings – the hardest part is trying to decide which flavors of pie you’ll want to serve. You can’t go wrong with a classic pumpkin or pecan flavor, but don’t overlook delicious options like apple cranberry, peach blueberry and apple caramel nut. To prepare for the holiday, Sweetie Pies will be open during the regularly scheduled hours on Saturday and Sunday, and also Monday through Wednesday to fulfill Thanksgiving orders. Call 920.868.2743 in advance to place your pie order, or stop in the shop to see what flavors are available frozen or freshly baked.